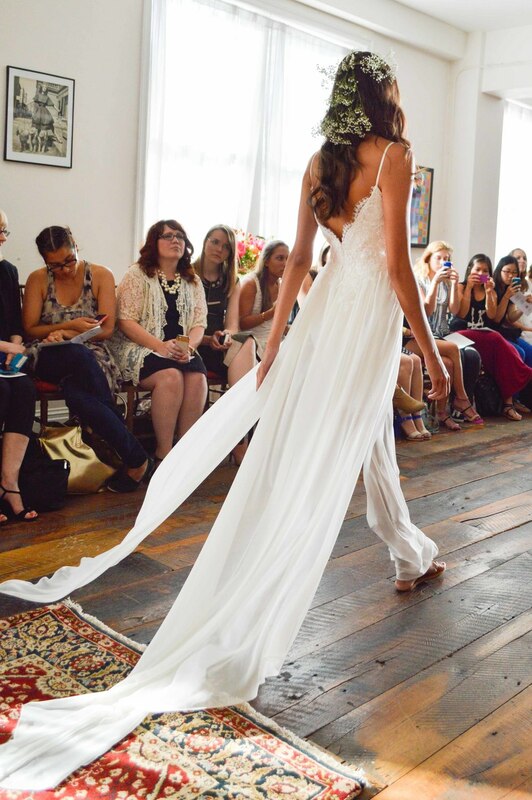 Announcing the Launch of Claire Pettibone Romantique! We have very exciting news for Colorado brides! 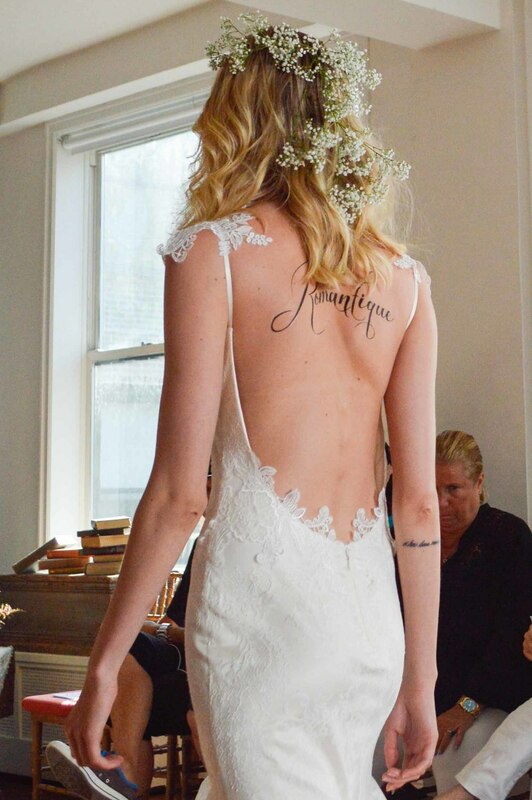 Claire Pettibone has announced the launch of Romantique, a line of bridal gowns with classic Claire Pettibone style and quality, all made in Los Angeles and all retailing for UNDER $3,000! 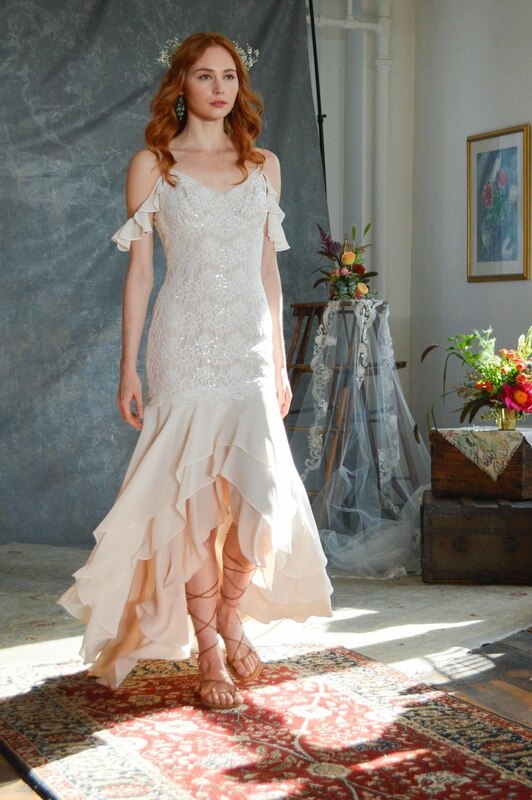 In the lightest laces, sheer layers, and untraditional silhouettes and lengths, the Romantique bridal collection is perfect for destination weddings, rustic outdoor weddings, bohemian styles brides, or for any bride wanting the distinctive Claire Pettibone look at a lower price. A selection of these gowns will be available soon at Little White Dress Bridal Shop in Denver! We're already envisioning how gorgeous they'll look on our brides at their beach, backyard, and mountain weddings. Little White Dress was at the official launch and boho-fabulous runway show in New York, where models with loose, beachy hair adorned with baby's breath floated down the rustic wood-floored runway. Enjoy your first look at Romantique! Save the Date for the Exclusive Colorado Launch of Naeem Khan!